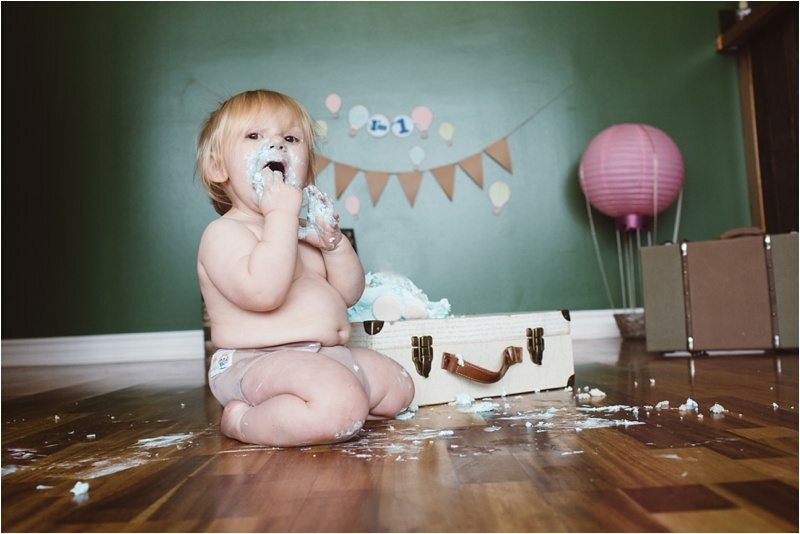 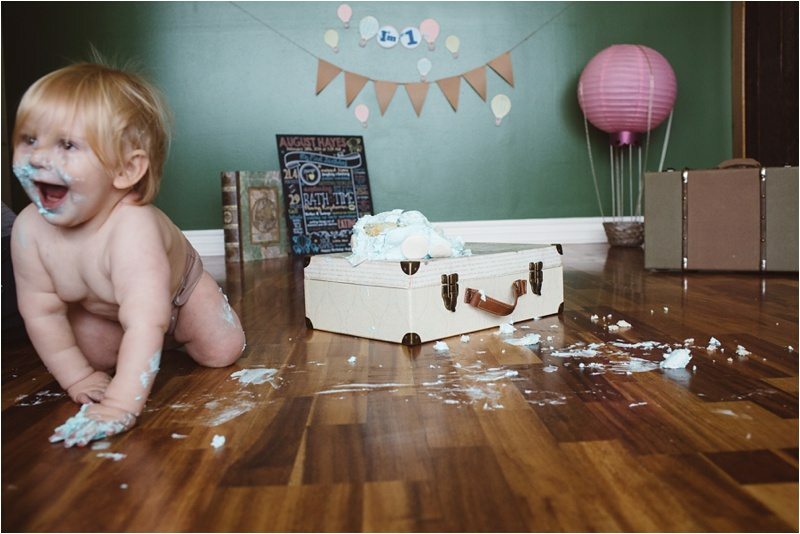 Who doesn’t love a good Cake Smash? 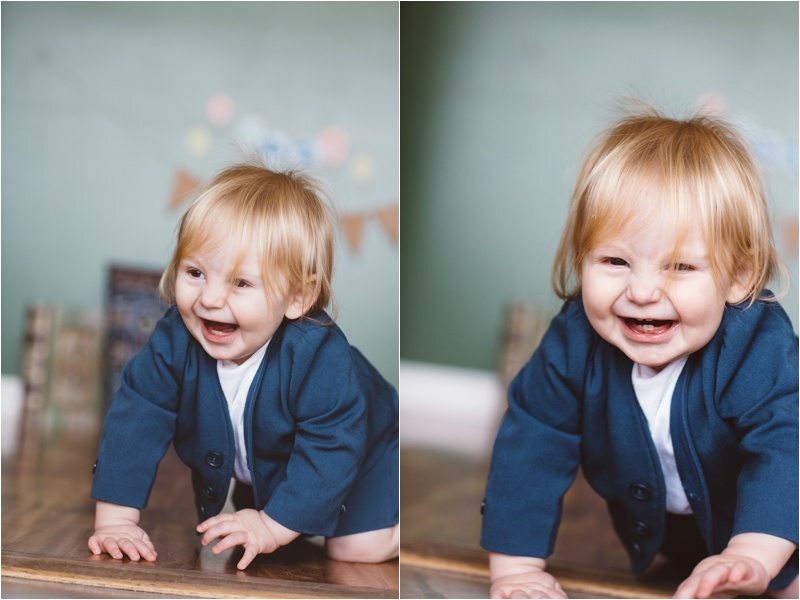 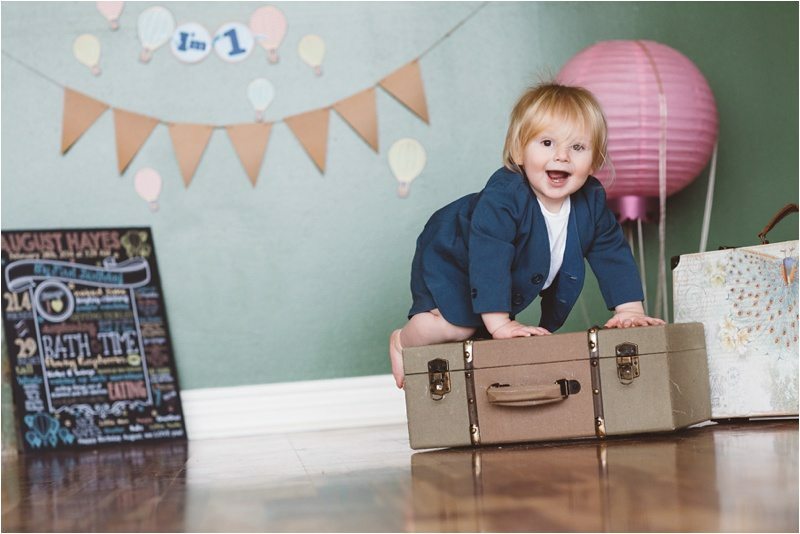 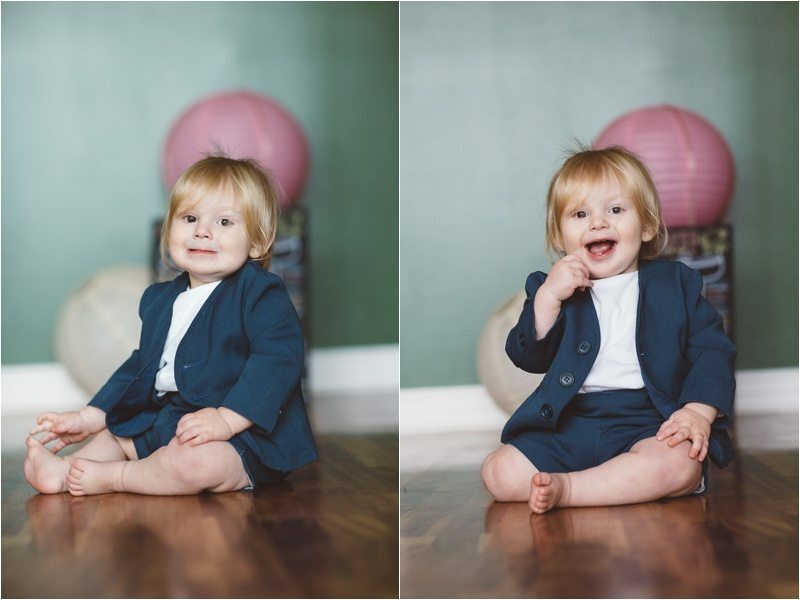 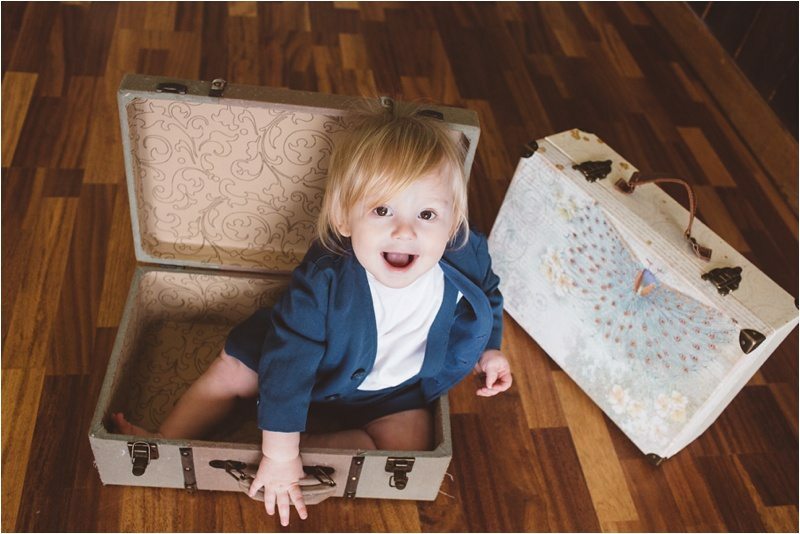 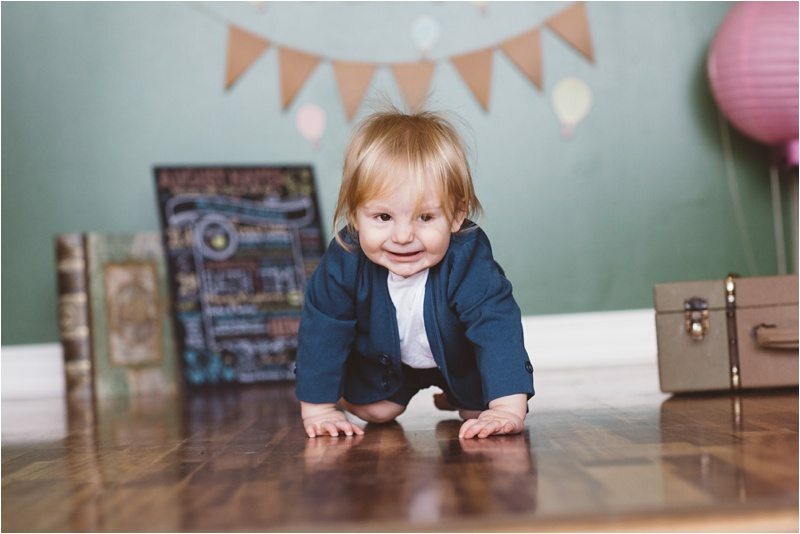 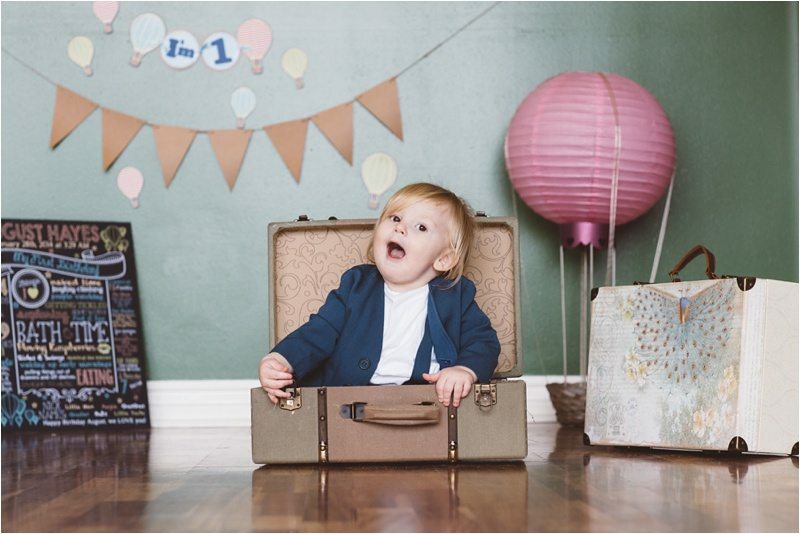 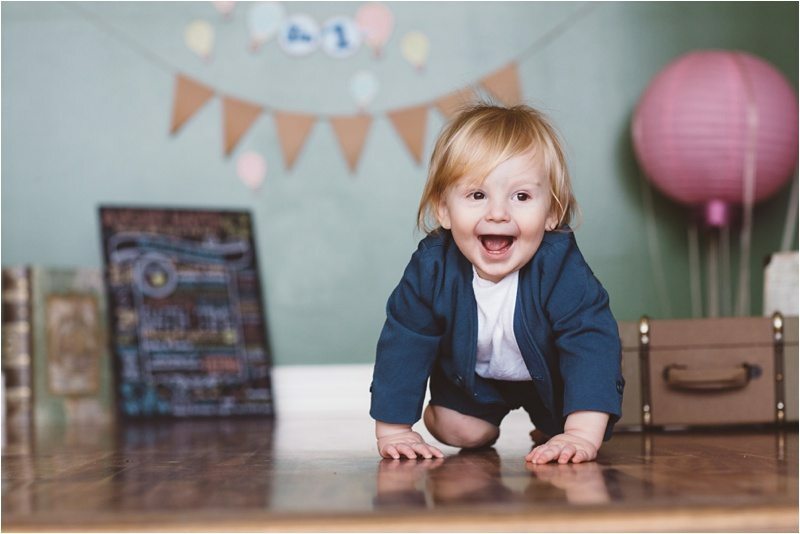 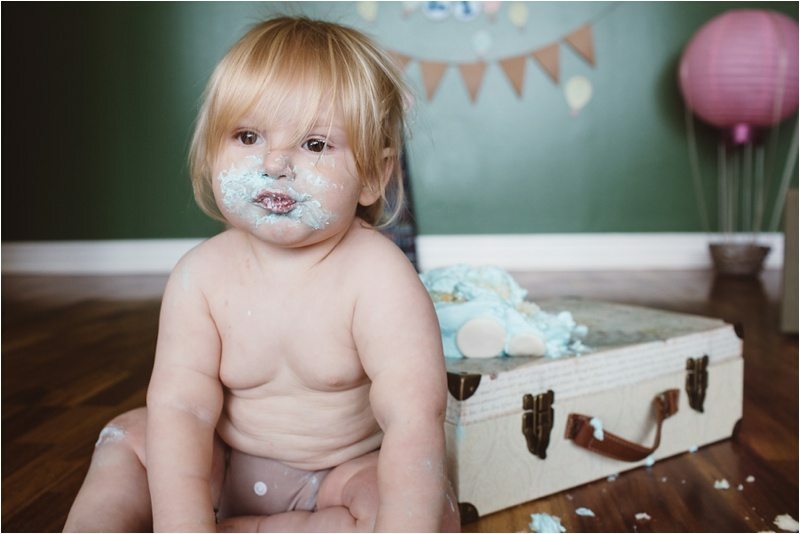 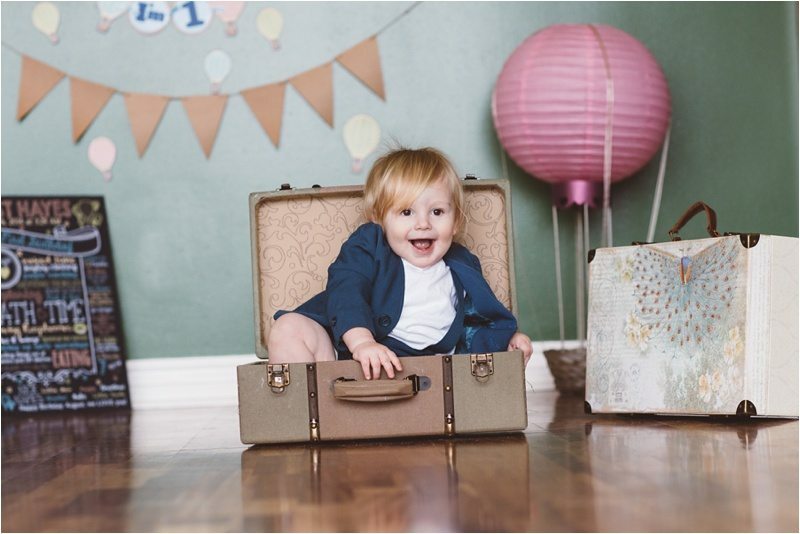 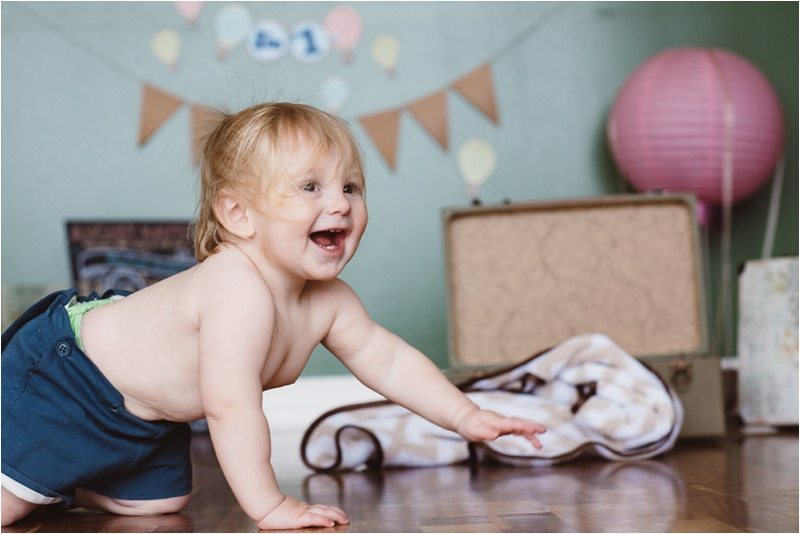 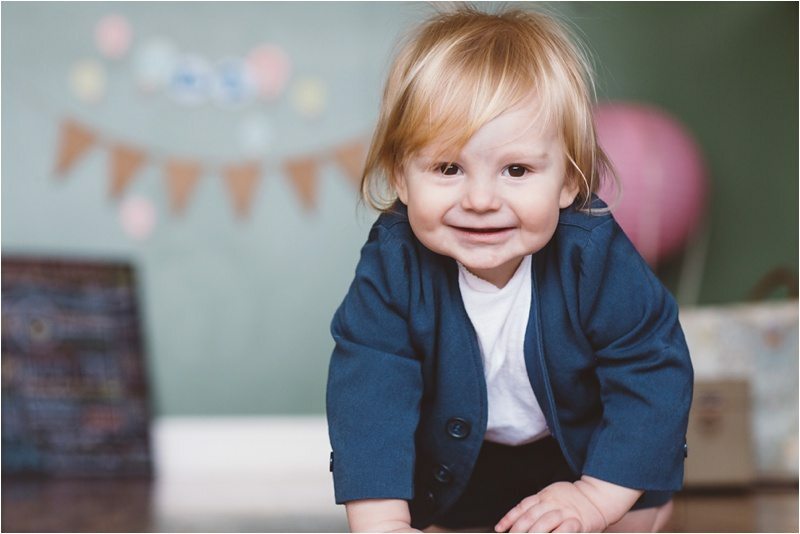 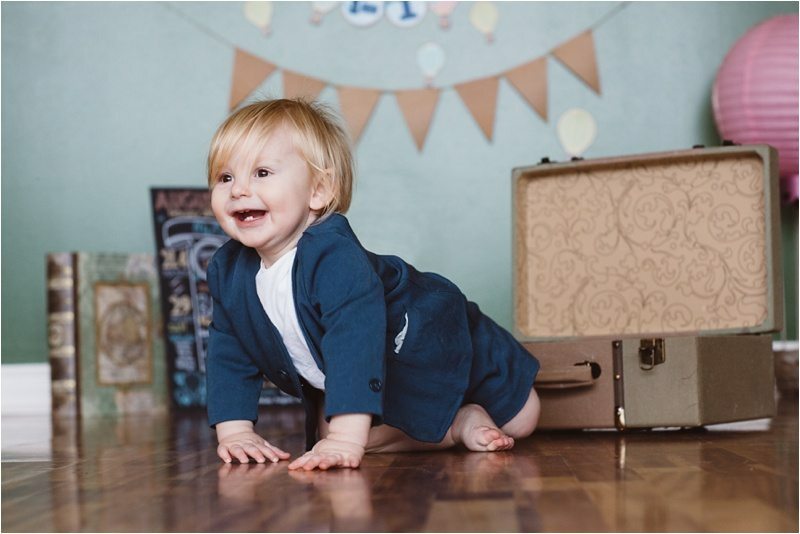 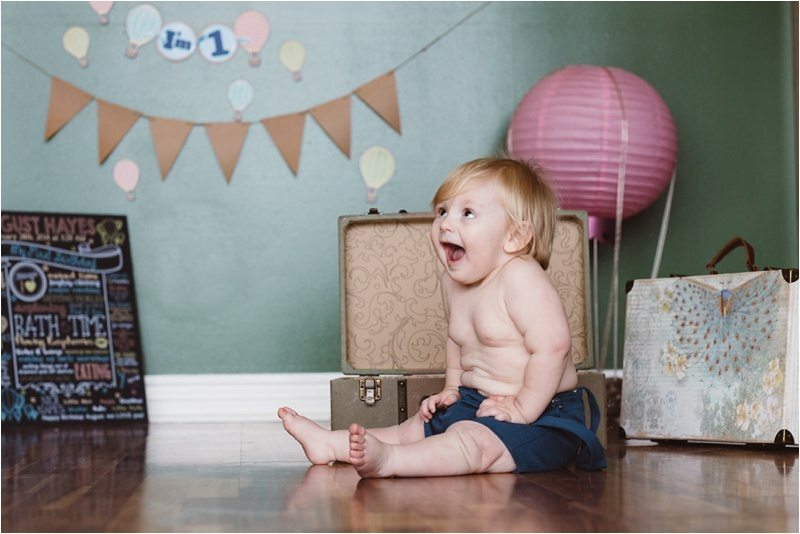 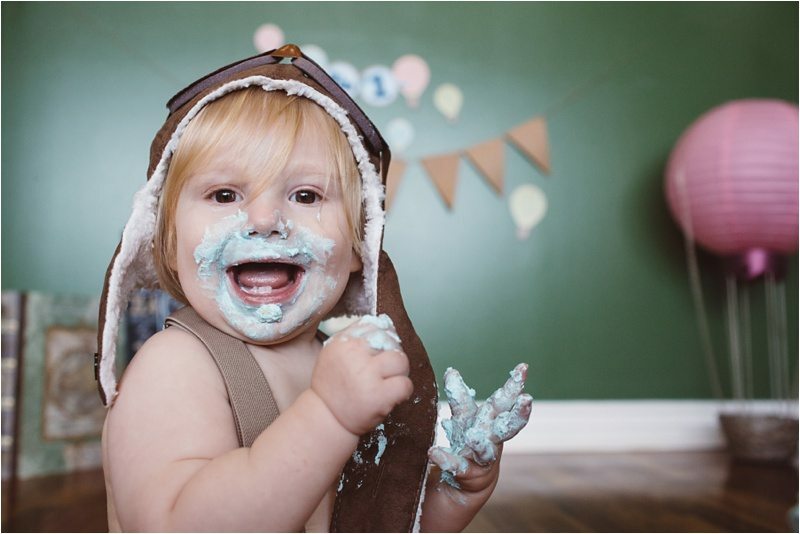 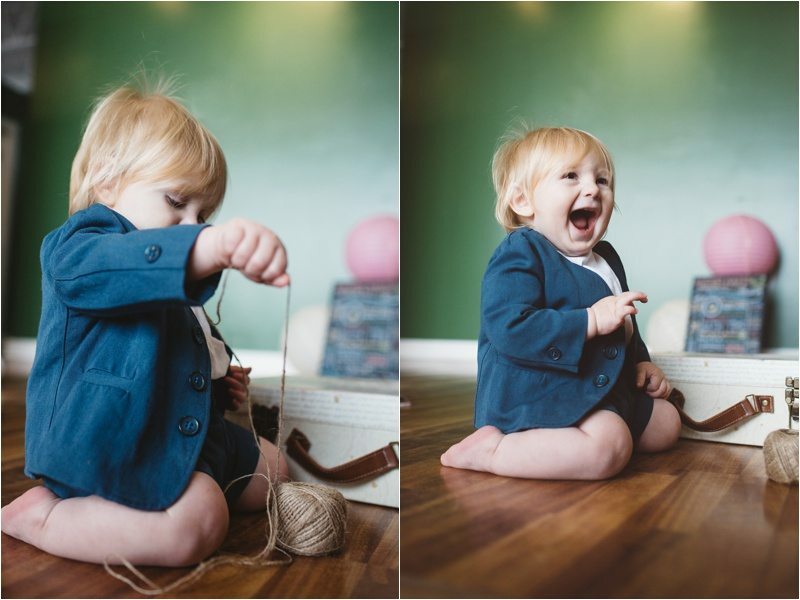 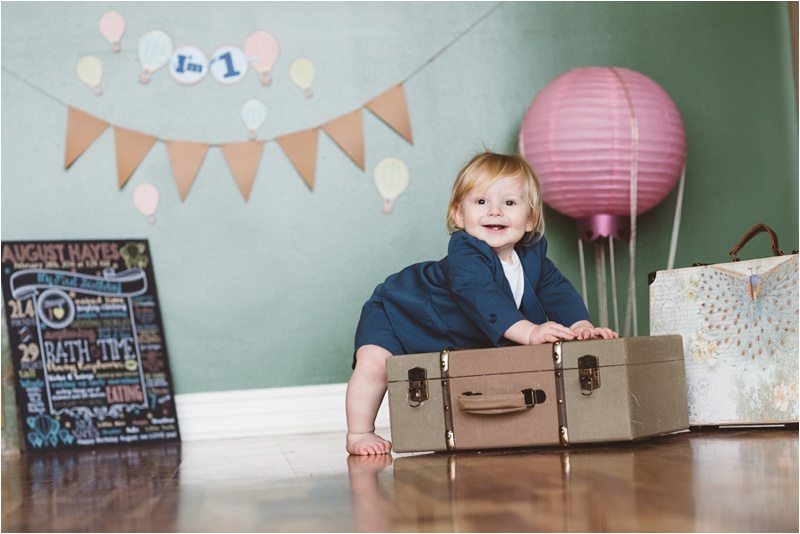 August is such an adorable little boy and we have had the privilege of photographing him and his family every few months since his birth so we were so excited when his mom contacted us for his 1st birthday. 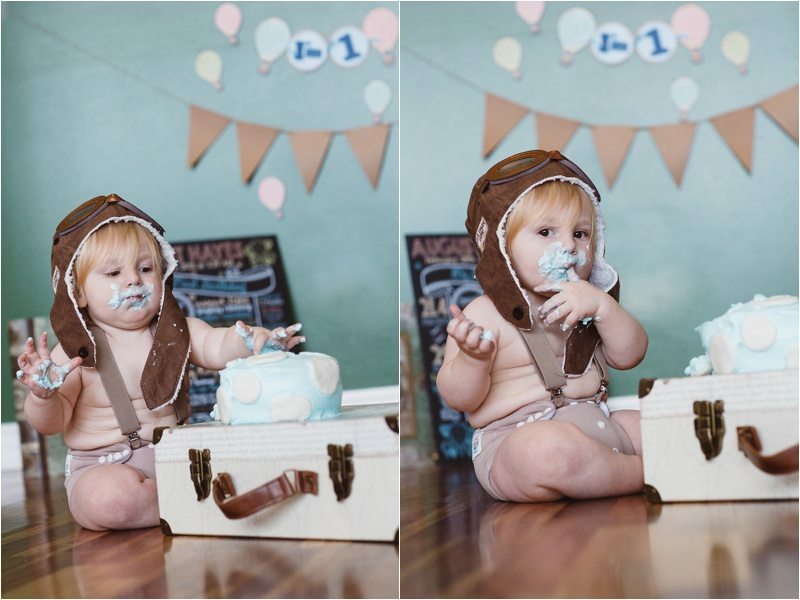 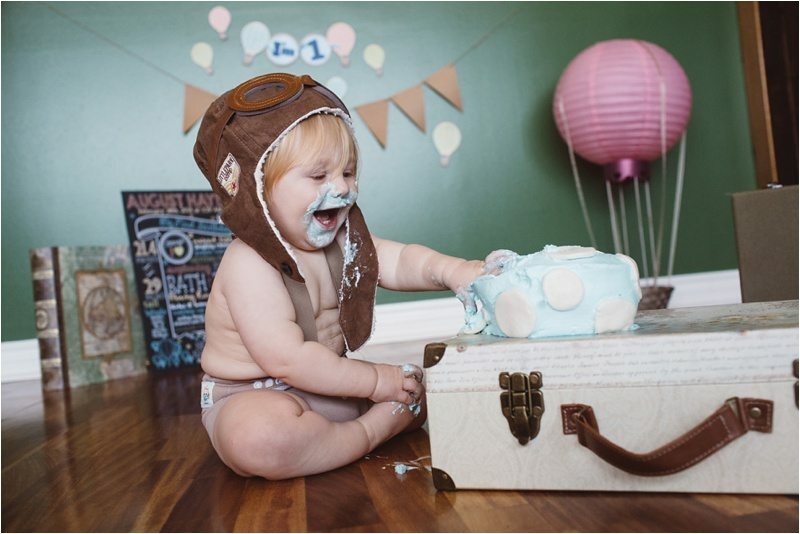 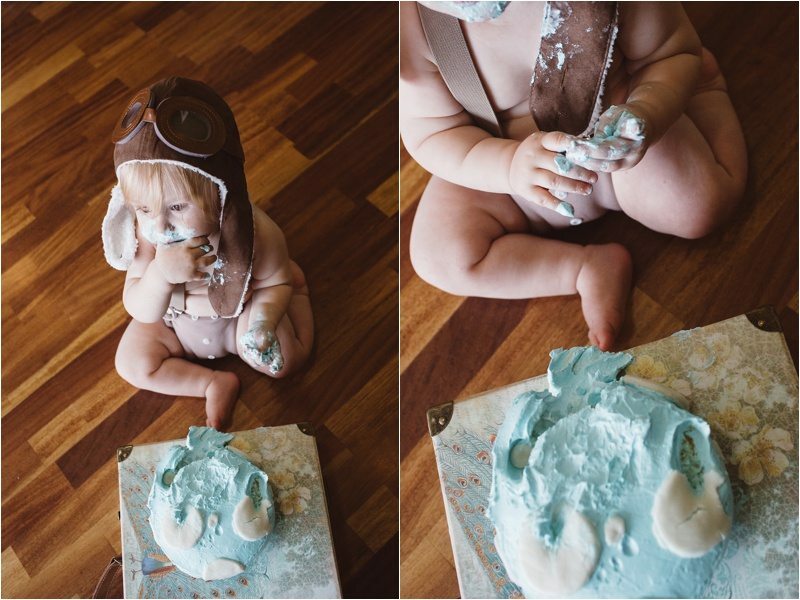 August was a little hesitant at first but eventually he couldn’t get enough of his personalized cake. 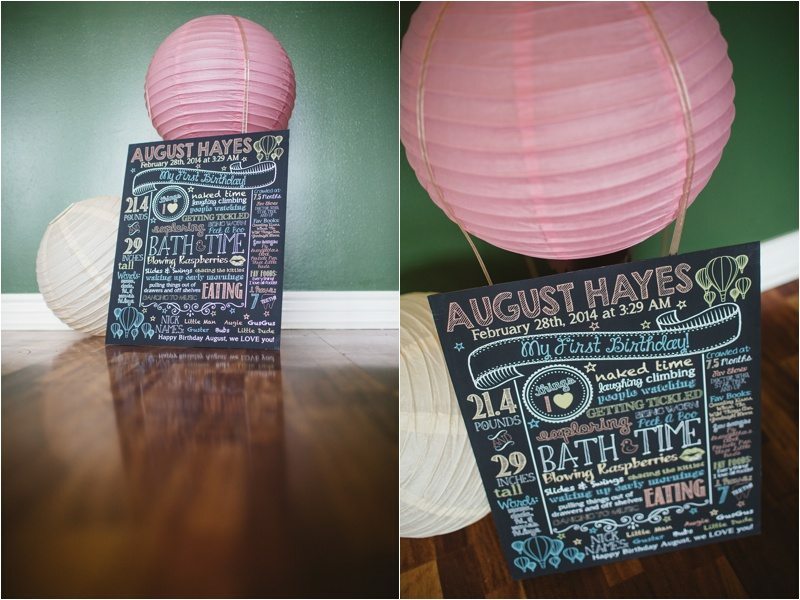 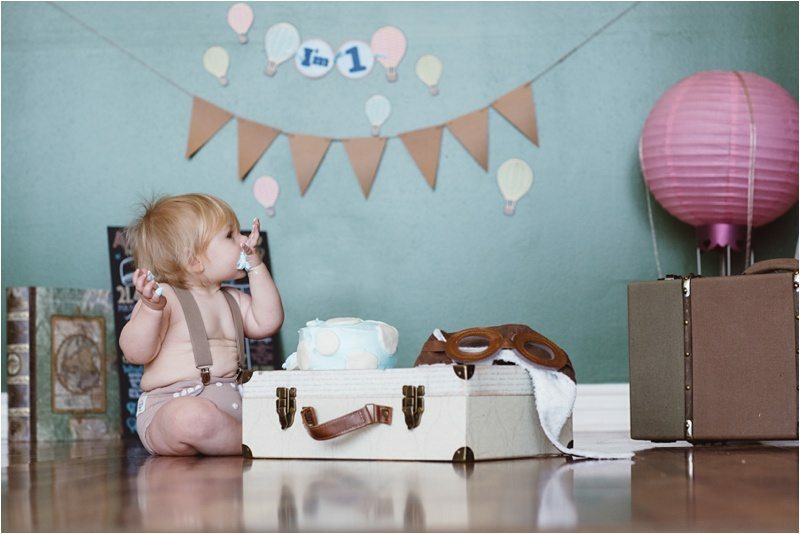 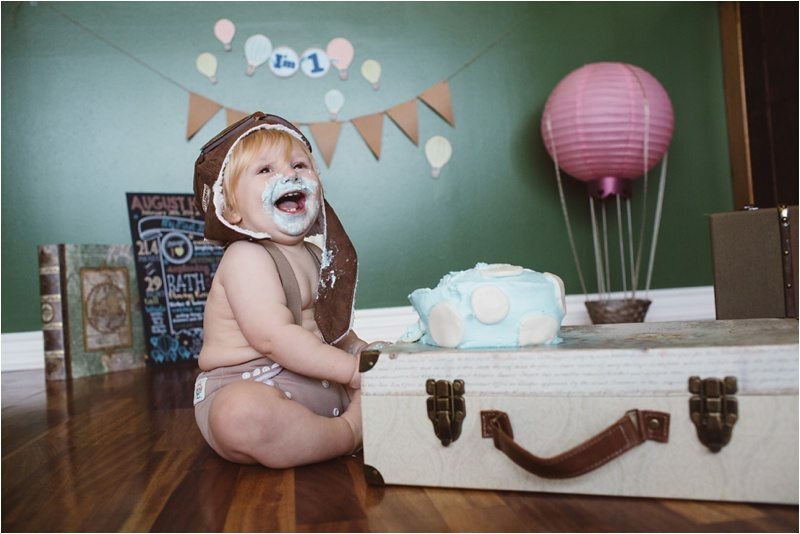 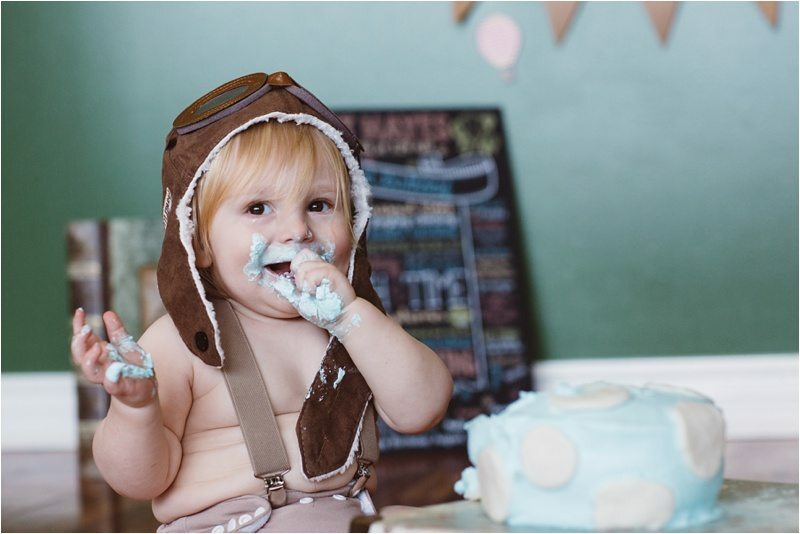 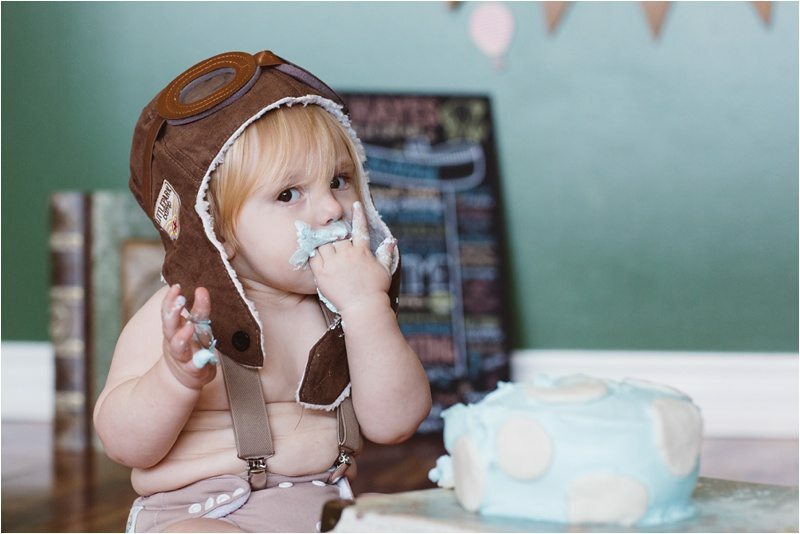 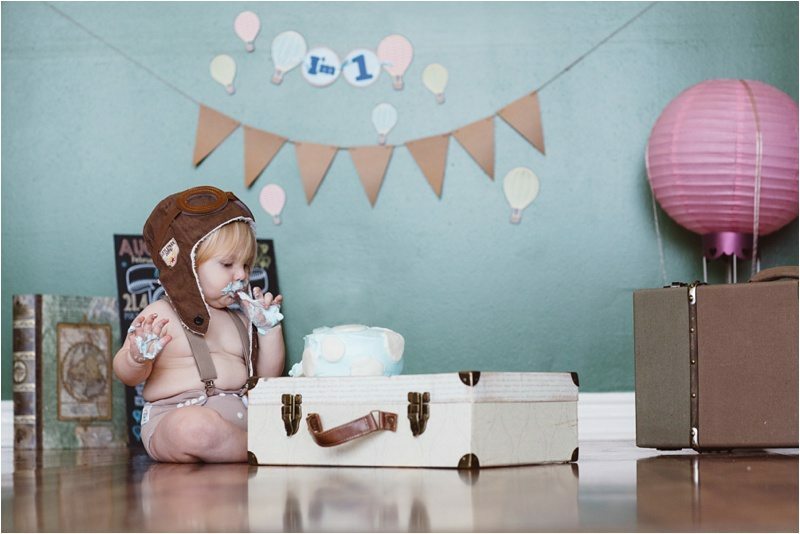 His parent’s went for a vintage balloon theme, getting bits and pieces from Etsy, vintage shops and even making some of the pieces themselves and it couldn’t have turned out cuter!